21. 09. 2015, it was the international Day of PEACE. Today is the International Day of Peace, with organisations, brands and individuals all over the world pledging their support for the initiative. 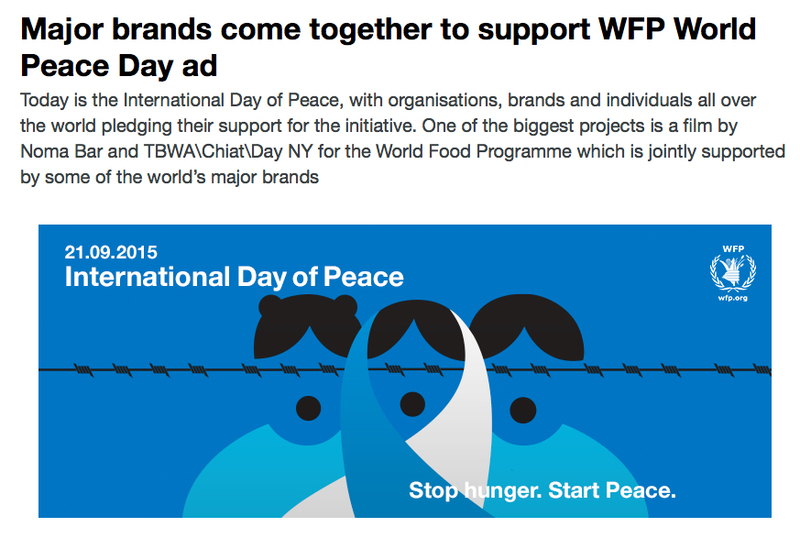 One of the biggest projects is a film by Noma Bar and TBWA\Chiat\Day NY for the World Food Programme which is jointly supported by some of the world’s major brands.